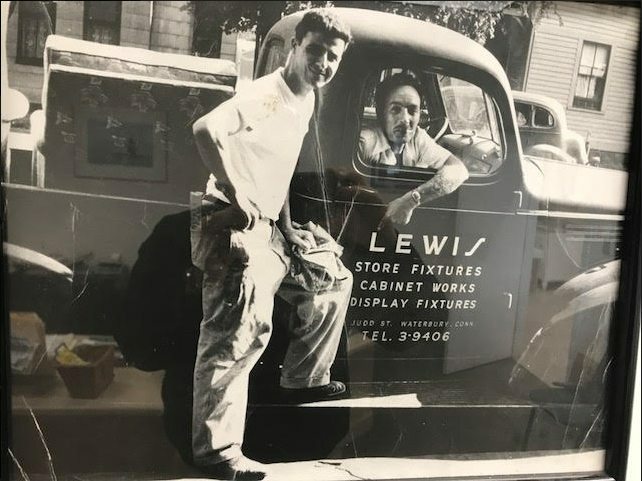 1945 – Louis A. Lestorti Sr. founded Lewis Millwork (pictured above with his first employee). 1978 – Jim Clarke & Joanne Lestorti Clarke purchase Lewis Millwork, and the company becomes Lewis Kitchen & Bath Center Inc.
1996 – Jimi Clarke joins the company after graduating Quinnipiac University. The company enters its third generation and continues to expand by servicing property management companies and larger developers around the state of Connecticut. 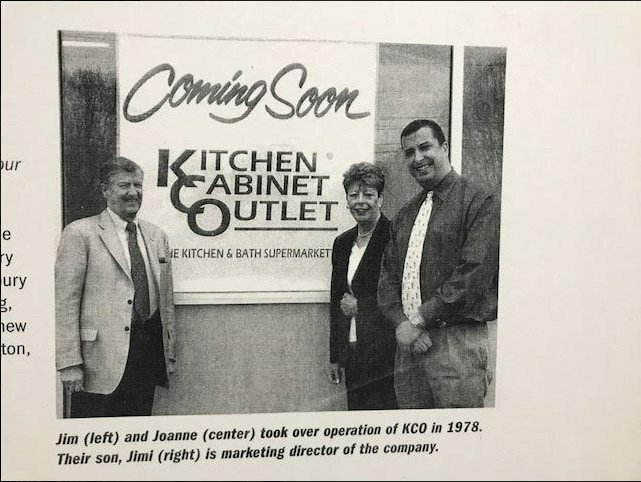 2006 – Kitchen Cabinet Outlet expands, and opens a second location at 931 Queen Street in Southington, CT. This location is a 9,000 square foot superstore for kitchen and bath cabinetry offering over 25 kitchens and over 100 bath vanities on display. From this point on, the company solely markets itself as Kitchen Cabinet Outlet. Today – Under the direction of Jim Clarke Jr. and Jimi Clarke III, we continue to develop innovative ways to showcase our cabinetry and offer the public the largest selection of cabinetry for every budget. We have also expanded our presence with property managers and builders as we continue to march toward the future.